Correct, it's a quarterly statement on expenses incurred by the agency. No where does it have mentioning of new hires or anything of the sort. its just stating the expenses in which they've paid or have taken on in the past 3 months. The vacancies you see can be a number of things. People on sick leave, vacation, hurt, etc. 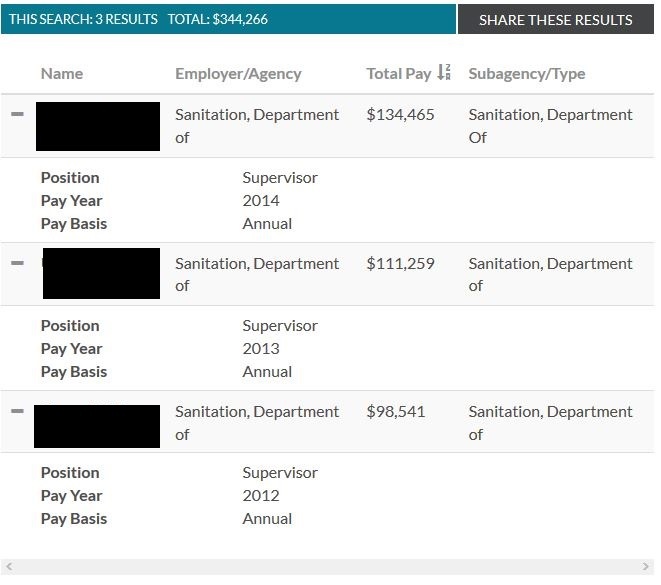 it details what your reading and the break down of the meaning of (vacancies) and just states the expenses they expected to pay and what they actually paid. Right above the part where you see the (4 vacancies) a few lines above you'll see that there were overages in specific positions. Once you go through the whole quarterly report and read it you'll see. Start at page 77, stop at page 80 then continue to page 83. Last edited by Qns_Ny 22; 09-23-2015, 08:12 AM. look at it like this, if you take a weeks vacation from work, that creates a vacancy in that position right. Depending on where you work and what you do that'll make your coworkers work a man short or perhaps pick up overtime to compensate for the vacancy. Last edited by Qns_Ny 22; 09-23-2015, 08:13 AM. Read closer it says "Operational Hourlies". Thats the temp hires. So we can't be certain if its temp hires or not. Regardless of what it is I'll keep posting the monthly committee meetings moving forward. Last edited by SendHelp; 09-23-2015, 09:07 AM. Do TBTA officers still get the Orange ez pass tags or that privledge was lost? That was just for work or personal use too? What's up everybody, i just got a letter to take the physical exam for sanitation worker 5001 exam on November 7th. I'm confused because the letter does not mention anything about my score for the written exam. Anyone else that took this exam recieve that letter? Hmmm, maybe we must of scored very well on the written. I called my sanitation supervisor buddy and he is as confused as I am. in 17 year On the Job, he has never heard of Physical notices going out before the list numbers. I'm not getting too excited yet. So what happens if I start the process with sanitation and then I get called for TBTA? How does that work? Lol @ the computer error. i guess you just have to do both until you decide what you really want to do. I know if this happens to me its definitely going to be a hard decision to make. Same here, although my heart really leans towards BTO. I think i'd be happier, always have wanted to be in LE. You can't complain about the pay that's for sure. Here is a screenshot of what my buddy has brought home with a bit of OT as a supervisor from 2012-2014. I hope to be there one day.. The novelty wears for every job whether it's your dream job or not. It comes down to providing the best means for your family and yourself. I would stick to sanitation if this is your chance. There are currently 5793 users online. 215 members and 5578 guests.